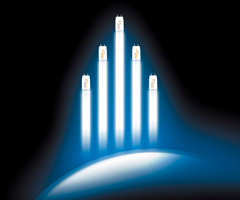 New generation lights developed through advanced technology gently illuminate our everyday lives. As a lifelong partner of society, our company sells LED lights developed with consideration of environmental protection and energy savings. Manufactured with these environmental and economic considerations, the BCX Lumiena*1 and MIEU Light*2 series are the highest quality and highest security LED lights in the world and incorporate officially licensed LED chips. Now sold in the USA, Canada, Europe, and China, these products have established a strong reputation. These LED lights are used in a wide range of applications and can be easily used to replace existing fluorescent light bulbs*3, resulting in excellent cost performance and energy savings. Mizusho is able to provide innovative, next-generation lighting by offering the advanced LED lights of PSY Co., Ltd.
*1 BCX Lumiena is our own brand of LED lights developed and manufactured by PSY and sold in Japan. *2 MIEU Light is the name of the LED light series that we sell in Japan. *3 Only for grow start-type light bulbs. Simple electric work is required for rapid start- and inverter-type light bulbs. PSY is an abbreviation for Shenzhen Pu Sheng Yuan Lighting Co., Ltd., a major LED light manufacturer in China. Since establishing its own brand BCX in 2006, it has developed, manufactured, and sold high-quality, human-friendly LED lights. These LED lights are the highest quality, highest security lights in the world and are produced using officially licensed LED chips with environmental protection and energy savings considerations. They are sold now in the USA, Canada, Europe, and China where they have developed a strong reputation. Structure that efficiently diffuses straight LED light to produce bright, soft light. Unique LED chip array developed and designed by PSY (12 series, 22 arrays, 40 W type) that achieves a high level of stable illuminance. 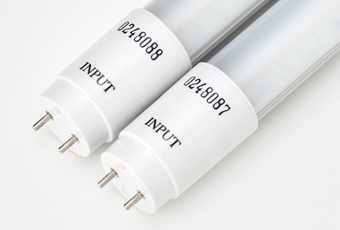 A serial number is provided on each LED fluorescent light to ensure traceability, and a long-term warranty system and after-sales service are provided. 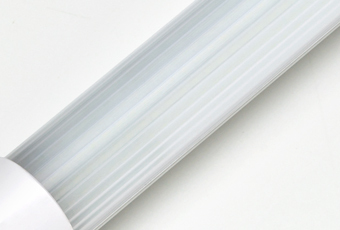 While common 40 W-type fluorescent light bulbs consume about 45 W, BCX Lumiena lights only consume 20 W, which corresponds to a reduction in power consumption of about 50%–60%. The use of 264 LED chips and array optimization enable even, eye-friendly, and natural light-like light. Automated line manufacturing at PSY enables supply at a low price. Forty-eight hour energization tests ensure that all products maintain a high quality level. For circuit protection, micro-fuses and other safety parts made in Japan are used to prevent accidents such as fires. Polycarbonate exhibits excellent impact-resistance and does not break and scatter like glass. Therefore, even if the lights are dropped, they do not cause serious injury to those handling them. If the product breaks down within the warranty period, it is replaced free of charge, and because we carry product liability insurance, customers can feel peace of mind in the event of an unexpected accident. Replacement is required for 40,000 h (until light intensity goes below 70%). Furthermore, the reduced power consumption also decreases CO2 emissions. Because grow start-type lights can replace existing fluorescent light tubes, their installation does not require any electric work. Other types of lights require only simple electric work.